Our walk of the month takes in the beautiful Rame Head peninsula on Cornwall’s south east coast, which juts out into the Channel close to the mouth of the Tamar Estuary. 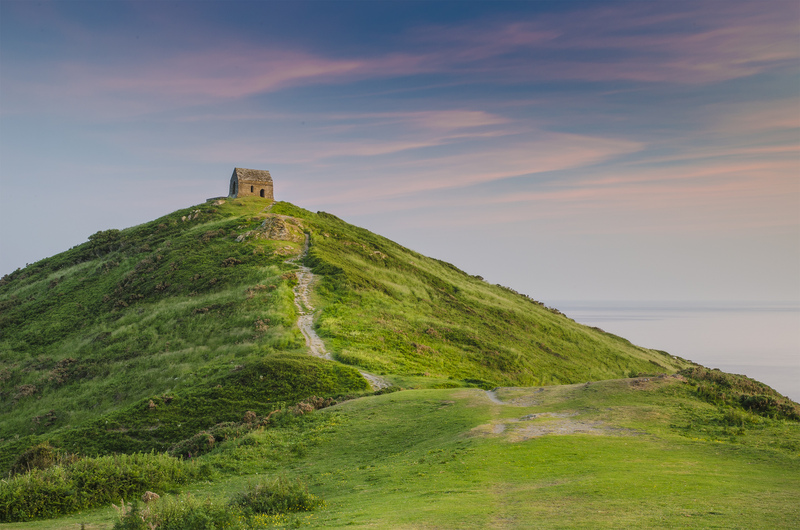 Its southernmost point, Rame Head (pictured above by Tobie Loates), is topped by a tiny chapel dedicated to St. Michael. This is a gentle 3.6 mile walk from Kingsand, Cawsand to Penlee Point. This is a perfect summer stroll that follows a high path over coastal heathland, where butterflies twirl above the wildflowers in the grass beside the path and the breathtaking views out across the English Channel give sight of an assortment of vessels, usually including warships lying at anchor or patrolling the Channel. In the eighteenth century this was prime smuggling country and the headquarters of Zephaniah Job’s notorious ‘West Country Free Trade’ enterprise. It was also a key area for the defence of Plymouth Sound’s south western approaches, and the walk passes several of the Rame peninsula’s military forts and batteries. If you enjoyed this walk and love the Path, why not become a member of the South West Coast Path Association and help to protect it for future generations? For just £20, you’ll receive the ‘Complete Guide’ to walking it and a year’s worth of news, reviews and discounts from selected partners that support the Association’s work including a 15% discount at Cotswold Outdoor.